A character must reach 4dan in order to create a house. House is faction-specific. 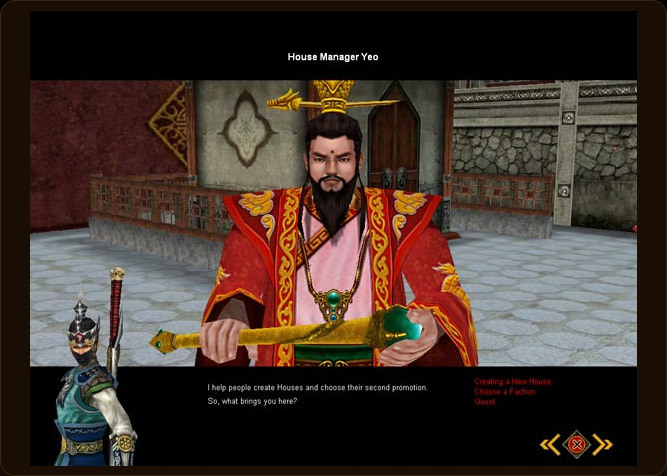 For example, Zhuang user will not be able to join a house made by a Shao. The leader of the house is called House Master, and House Master can either register or expel members of the house. 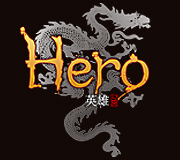 House name and emblem will show on top of the character after the character has joined a house. House members can talk to each other by House Chat mode ($). 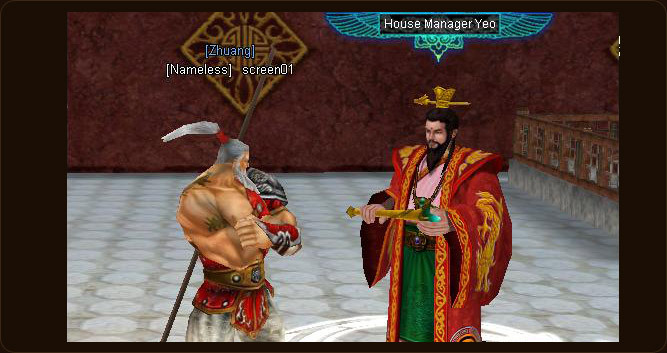 After reaching 4 dan, user can talk to the House Manager Yeo NPC, located inside the Dragon Castle. To create a house, character must reach 4 dan, and spend 10,000,000 gold. After accepting "Creating a New House" option, Create House UI widow will appear. Inside Create House window, user can choose their Faction, Emblem, Intro and Notice. Emblem can only be up to 16pixels. After creating a house, house name and house precept will show on top of character name as shown above. House Information can be viewed by clicking on menu on the top right-hand corner or by pushing G on the keyboard. In House Information, users can check the current status of the house including the Intro and the Notice. Users can also view other members of the house that seceded. 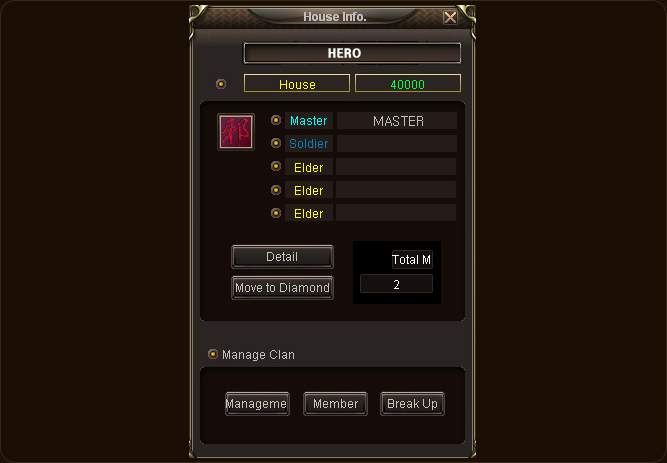 House Masters can manager members and update information using this window. Only House Master has the power to recruit users into the house. Left-click while pushing on ctrl on another player brings up a menu with "House" option. 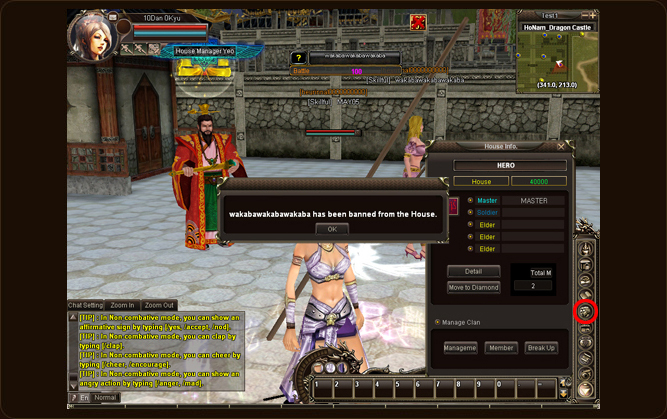 By clicking on the "House" option, you will send out an invitation message to the selected player as shown on the picture. 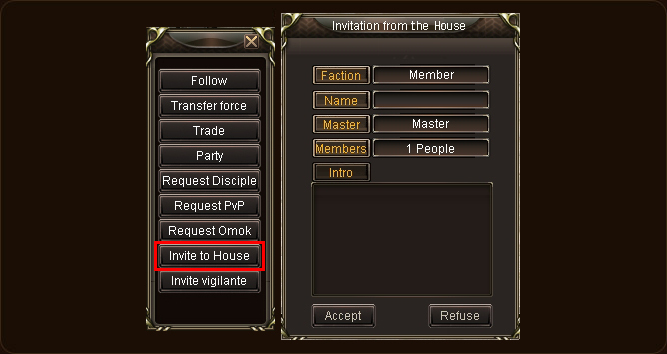 The invited user can click "yes" to be a member of the house. 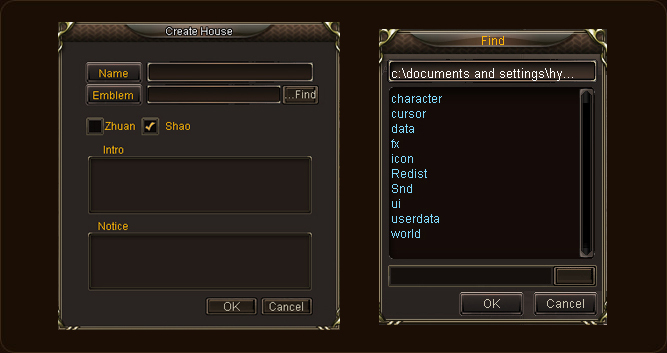 To leave a house, user can click on the secede button on the House information UI. Recruiting and Banning a house member can also be done by typing commands. Commands are the following.